The season seven finale of Archer just aired last night, and executive producers Matt Thompson and Casey Willis recently spoke with Zap2It about the future of the FX series. The animated comedy follows Sterling Archer (H. Jon Benjamin), a former spy who now works as a private investigator. Aisha Tyler, Jessica Walter, Chris Parnell, Judy Greer, and Amber Nash also provide voices. What do you think? Do you watch Archer? What do you hope happens in the next season? 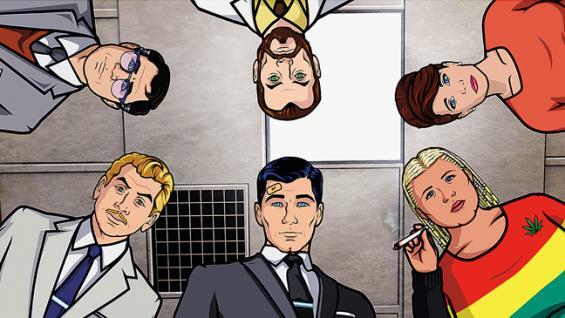 More about: Archer, Archer: canceled or renewed?, FX TV shows: canceled or renewed? Archer: FX Animated Series Pays Homage to Magnum P.I. I think there’s a second clone and that’s who was face down in the pool. If someone’s going to take out Archer, it’s going to be someone more interesting than a two-bit criminal who’s also an actress. Archer was shot multiple times and has been floating face down and motionless for hours. Unless that’s a second cyborg we’re done. Nothing that can’t be fixed by… dun dun dun… time travel! Or waking up from a dream. Or that Archer colluded with Krieger already to put another clone in place while an inebriated Archer laughs hysterically from an upstairs bedroom while a third clone does the Simon and Simon with him.